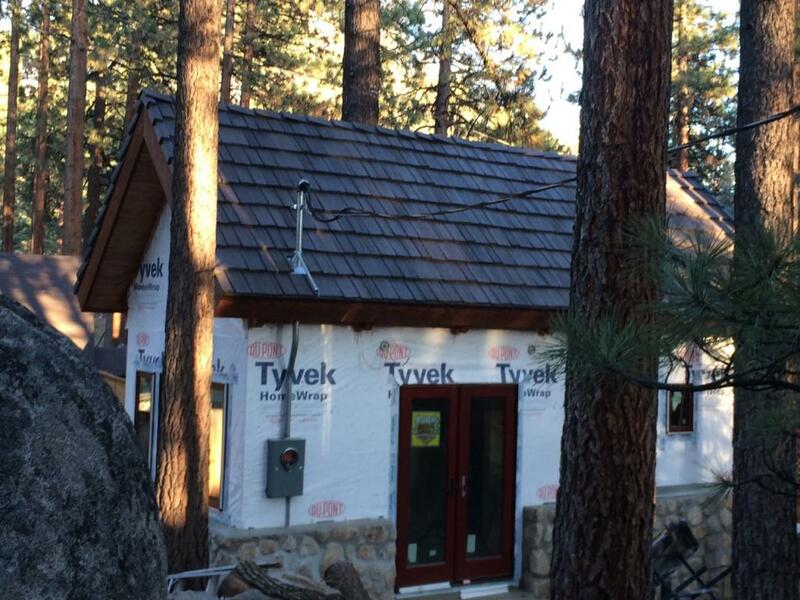 What roofing color would you select for a cabin and boathouse project if it sat near the shore of Lake Tahoe? Well, Tahoe-VariBlend, of course! side of Lake Tahoe. Their goal was to renovate and restore the log cabin to the period. At the same time they built a new boathouse, also designed with a rustic look. “We wanted a roof that looked like cedar shake to complement the rustic architecture of the cabins,” says Gilbert. “The roof is a major focal point of exterior design, so we’re very pleased with our selection of DaVinci and the Tahoe-VariBlend. It looks like real cedar and fits into the environment nicely.